Fig. 1. Leaf morphologies of two E. hamiltonianus phenotypes. 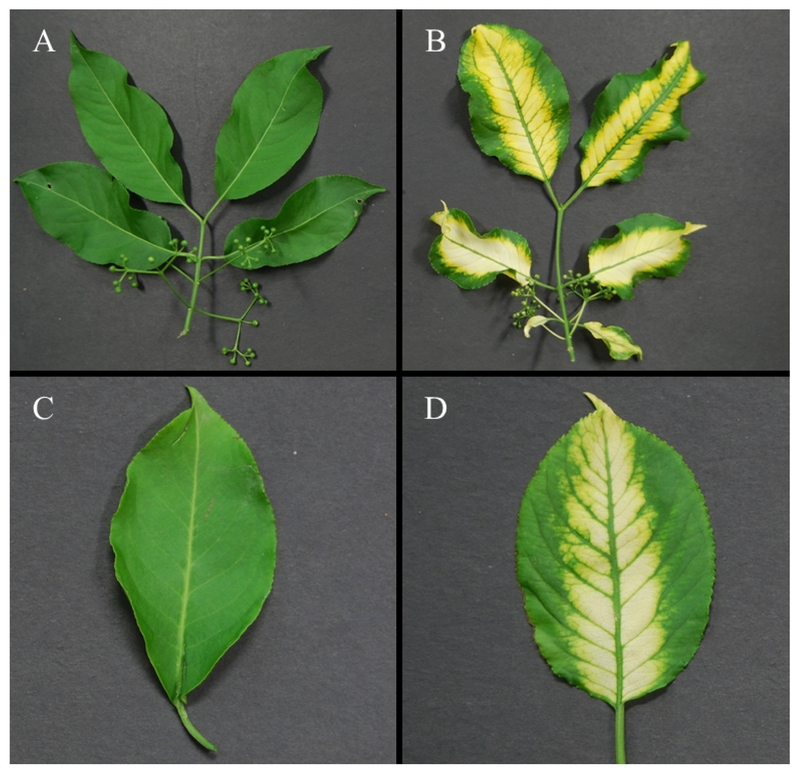 (A, C) Leaves and unopened flowers of normal plants. (B, D) Variegated leaves and unopened flowers of natural mutant plant which is being developed as an ornamental cultivar. The picture was taken from Hantaek Botanical Garden in May 12, 2017.